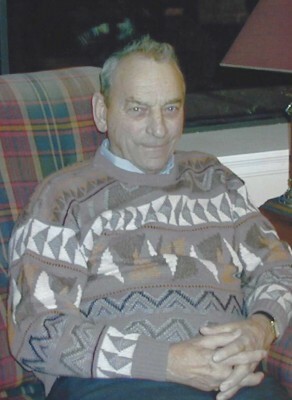 Len was born September 18, 1927 passed away at the Foothills Hospital on December 31, 2015 at the age of 88 years surrounded by family and friends. He is lovingly remembered by his sons Charlie (Heidi), Larry (Gayle), Ed (Shannon) and Lloyd (Dee), and daughter Linda (Rick) Rispin, ten grandchildren Stephan, Dawn, Kari, Shane, Kaylee, Trevor, Troy, Geoffrey, Lesley and Dean as well as seven great grandchildren Jordyn, Hayley, Connor, Erika, Kristyn, Wyatt and Luke. Len will also be fondly remembered by his sisters Dorothy (Oliver) Ashton and Mary Mellen, and his special friends Deadra Watt and Mel Johnston. Len was predeceased by his wife of 54 years, Rowena, his father Charlie and mother Cissie. He worked for Domtar Wood Preserving at both the Calgary and Cochrane plants for 39 years at which time he retired to raise cattle and farm. He took great pleasure in looking after his animals, especially his dogs! He enjoyed having the house full of family and friends. Len kept busy having coffee with his buddies, visiting the post office, and watching hockey, old westerns and war movies. He was a long time member of the Royal Canadian Legion where he participated in Crib night. He always had a cribbage board handy whenever the kids or grandkids came around and he almost always won! Len was also well known for his love of Bacardi and Coke!! A Celebration of Len’s Life will be held at St. Andrew’s United Church ( 128 First Street East, Cochrane ) on Saturday, January 16, 2016 at 1:30 P.M.. We would like to extend a special Thank You to the doctors, nursing staff and palliative care team of Unit 46 at the Tom Baker Centre. Flowers gratefully declined, however, memorial donations in Len’s memory may be made directly to the Tom Baker Cancer Centre, 131 – 29th Street N.W. Calgary, AB T2N 4N2 or www.albertacancer.ca. Larry, Ed, our condolences to you and your families. Larry,Gayle and family. We are so sorry for your loss. I only met Len when you were building your house , but I remember he was quite a guy. I’m sure he will be greatly missed. We were sorry to hear of Len’s passing. I will miss him greatly. Sorry we cannot be there for the celebration of Len’s life. Our thoughts are with you all at this time of sorrow. To Larry and Gail, our sincere condolences on the loss of your father. I’m sure he will be greatly missed. However time has a way of healing. So sad to hear of Len’s passing, such a lovely man. Our thoughts are with you all. Our sincere condolences on Len’s passing. Our thoughts and prayers are with you.